The Biggest Baby Show is coming to NYC! The NewYorkBabyShow is welcoming women, men, couples, individuals, and friends—and, of course, bumps, babies, and toddlers! Being a New or expectant parent can be so overwhelming when you have no idea what your being set up for. I remember Henry and I being so lost on what to expect. The baby Show is informative, you can find top brands & gear, speakers & seminars, stroller test tracks, classes and so much more. Tickets for the show are now available online or at the door on those dates, they are priced to be affordable: $30 per family, or $20 per individual! Children are free. 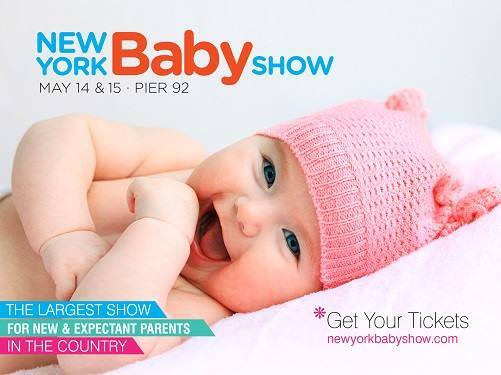 To purchase a ticket to the New York Baby Show, CLICK HERE! So from the title you all must be excited for the GIVEAWAY! 10 individuals will win tickets for the show!